I sat down a few weeks ago and gave myself five minutes to write down all the birds I could remember ever having seen in Sumpter Valley. I thought of twenty-three. Then immediately felt ashamed of having forgotten another half dozen. Oh, then the little birds that I didn’t know the names of because they were all small and brown. Sparrows, right? Maybe a few wrens? In any case, I was a little surprised at how many different bird species there were. Sumpter’s out in the boonies, the sticks, the backwater. We’re high, dry, and cold. When we’re not, we’re high, dry, and hot. Very few birds bother to stick around all winter, shifting down a thousand feet or so where foraging is better. That leaves our bird feeders mighty lonely. 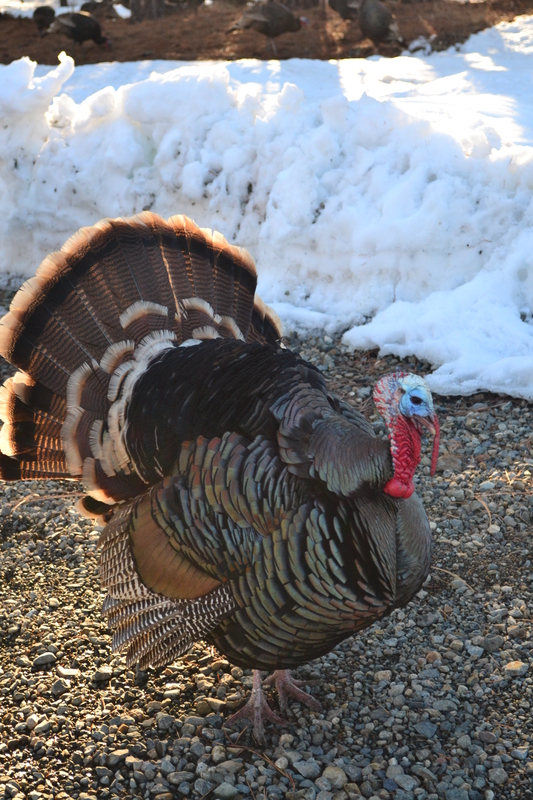 Those regulars we do see in Sumpter when the snow starts falling, or when it’s starting to melt, are the turkeys, chickadees, and juncos. Oh, no, just thought of another five species I should never have forgotten. One of them, the California quail, has been known to winter over where the feed is generous. Quail are so darned cute, what with their comma-shaped topknot and close, scurrying motion across the ground. The chest is gray, the belly a scalloped mosaic of white and tan. The males have black throats edged with white and white eyebrows edged with black. The females have a smaller, more subdued topknot and brown head. When I was growing up, there were very few turkeys around Sumpter. Now it’s not uncommon to see a herd of twenty or more strolling through town. They talk in chirps and trills with hardly a gobble amongst them. The featherless head of the male has a distinct bluish twinge. And when one takes off to fly into a tree, don’t be in the way. These big birds look way too heavy to fly, and a bit peculiar perched on a pine branch, but supposedly in trees is where they spend the night. I have noticed that a turkey in a tree tends to become its own tourist attraction. Chickadees and juncos can be a little difficult to tell apart. The males are all small, gray birds with black markings. The juncos, though, have no white on their heads. 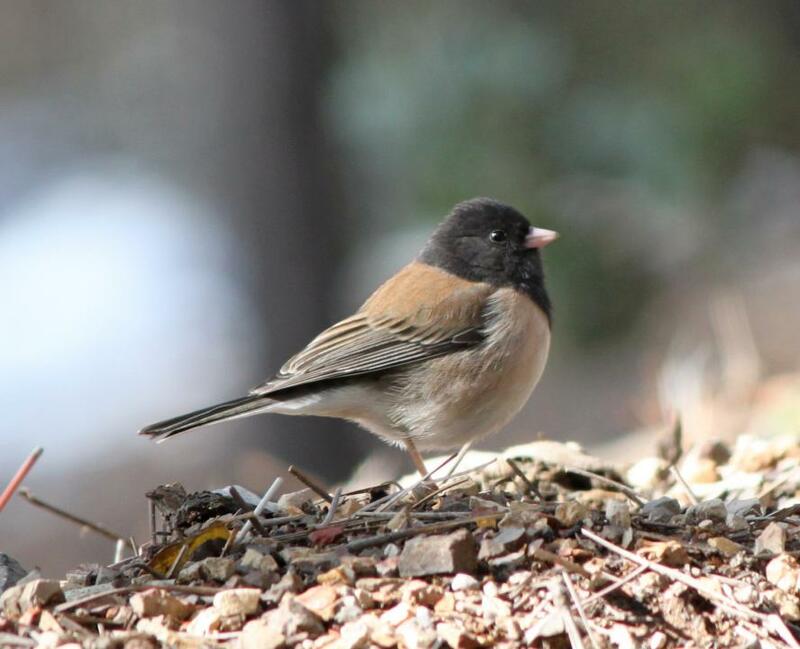 There are many varietals of junco and they’ve all been lumped into dark-eyed junco. The females are brown to tan. The version of male seen in Sumpter is black-headed and shouldered. All varieties have a pink beak. In the chickadees, there are three species you might see. The black-capped is the most common. This chickadee has a black cap, white cheeks, and black throat. The chestnut-backed likes a little lower altitude. It, too, has black cap, white cheeks, and black throat, but there’s a large patch on its back of reddish-brown feathers. 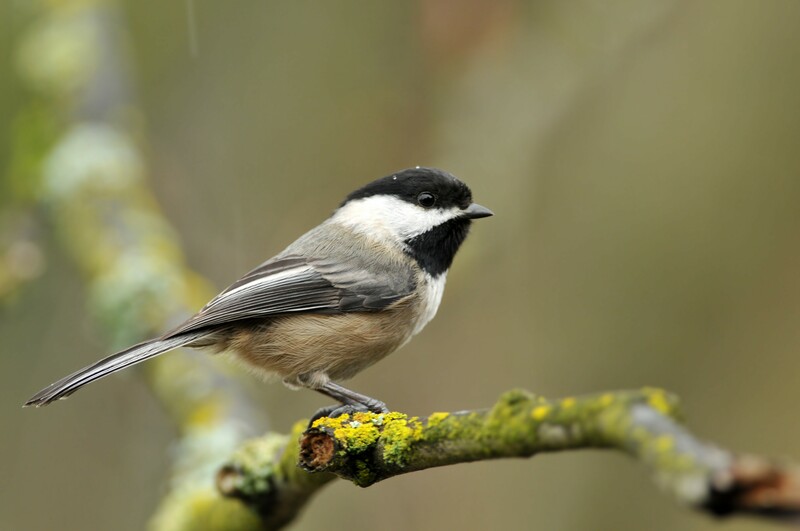 The mountain chickadee is the rakish version of the black-capped; it has a gray-white eyebrow that splits the black cap of feathers into cap and mask. The chickadees, by the way, are the only birds that have proven to me they sing their own name: chick-a-dee-dee(-dee). The dees are trilled and the number sung can vary. 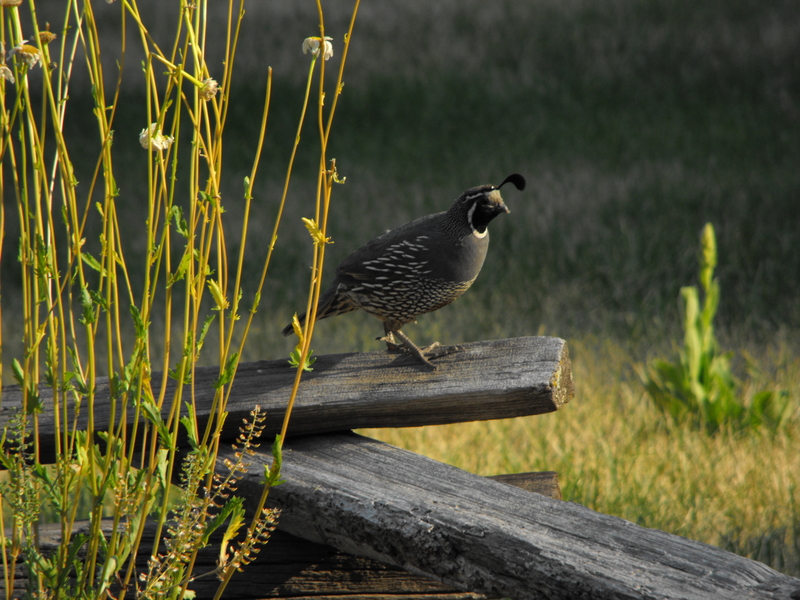 This entry was posted in Bird Watching, Wildlife and tagged Bird Watching, California Quail, Chickadee, Sumpter Valley Dredge, Wild Turkey. Bookmark the permalink.